Providing you the best range of biogas balloon, biogas storage balloon and gas holder co2 balloon with effective & timely delivery. We manufacture Biogas Balloon using premium quality materials. These can be customized as per the specifications of the clients. They are easy to install and requires less maintenance. They are made according to the international quality standards. They are widely appreciated by our clients for their features like no leakage, durability, sturdy construction, utility and efficiency. 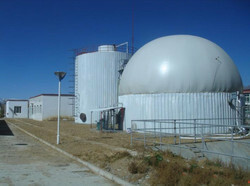 Biogas balloon eliminates the use of conventional metal tank, currently used as intermediate storage. These large Biogas Storage Balloon are fabricated out of high tenacity polyamide fabric matrix, impregnated with compatible polymer on the inside for the gas stored and on the outside with Hypalon for weather abrasion and UV resistance. 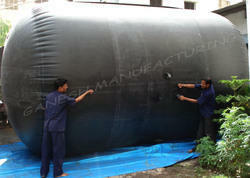 Biogas Balloon is a collapsible, intermediated storage tank. 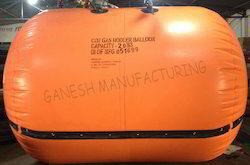 This Gas Holder CO2 Balloon is fabricated out of high tenacity polyamide fabric matrix, impregnated with compatible polymer on the inside for the gas stored and on the outside with Hypalon for weather abrasion and UV resistance. This Gas Holder Balloon is a collapsible, intermediated storage tank for any Industrial Gas, prior to bottling under pressure. Looking for Gas Holder Balloons ?